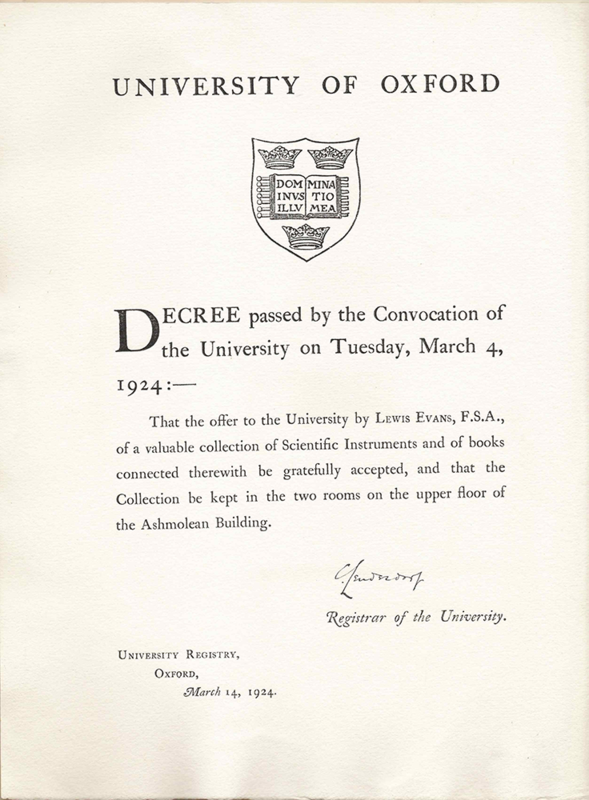 Ninety-five years ago this March the University of Oxford passed a decree to accept Lewis Evans’ donation of scientific instruments and books. 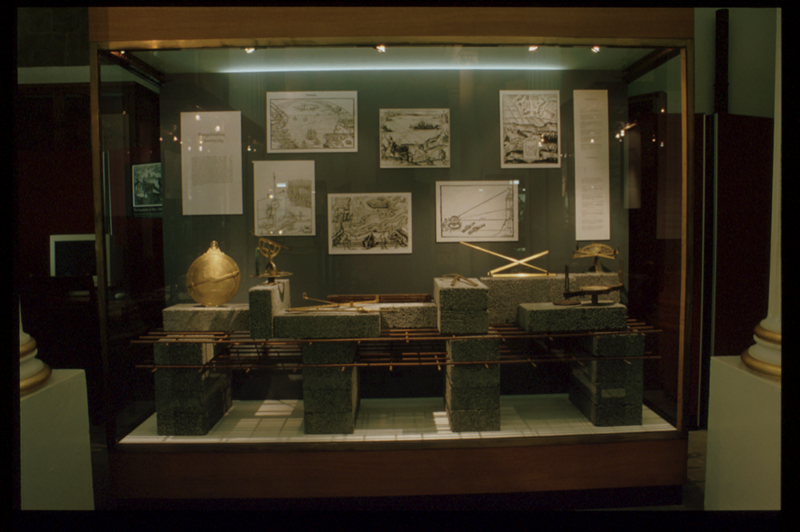 This marked the foundation of our Museum, which opened to the public in 1925. 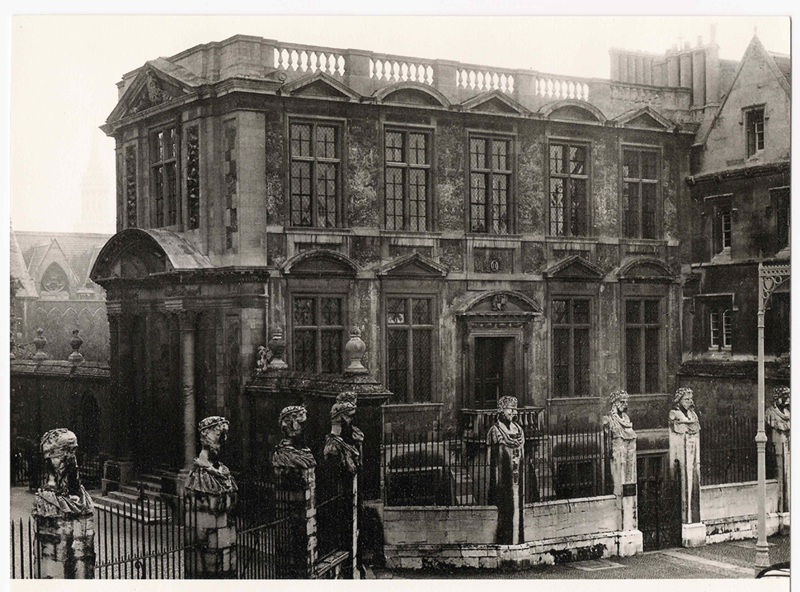 We’ve collected together photographs of the Museum from 1924 to the start of 2000. 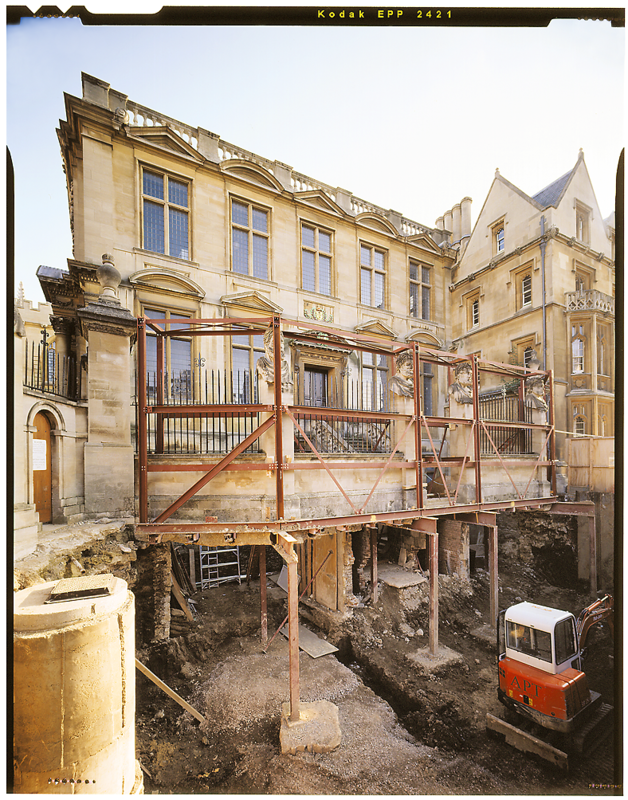 In 1924 this Decree from the University of Oxford laid the foundation for the Museum. The collection opened to the public on 5 May 1925 and was kept on the top floor. 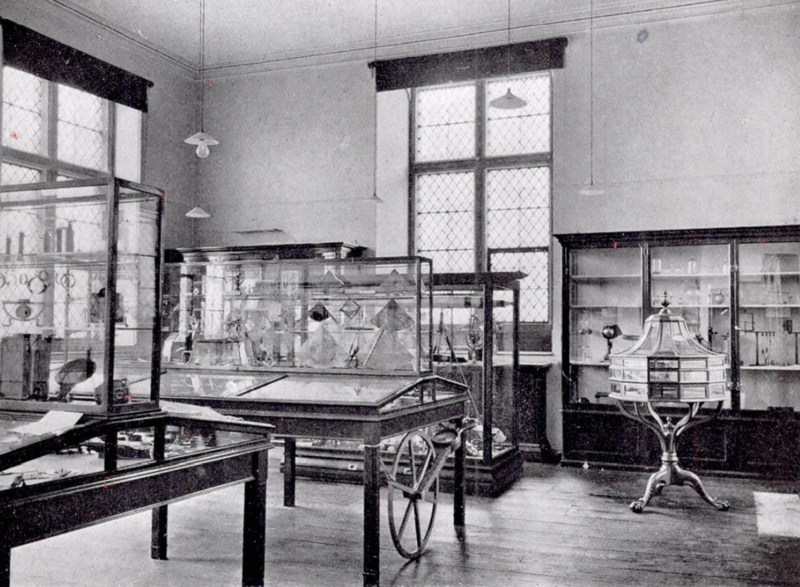 Both photographs from 1925 are from Gunther’s 1925 article about the Museum in Country Life. 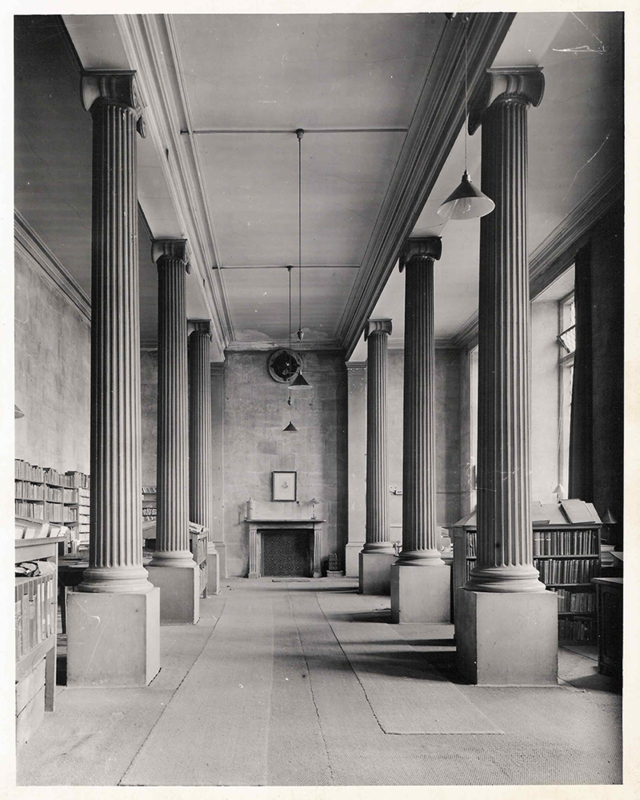 The middle floor in 1925. Lexicographers (people who write dictionaries) worked here on the New English Dictionary (OED). 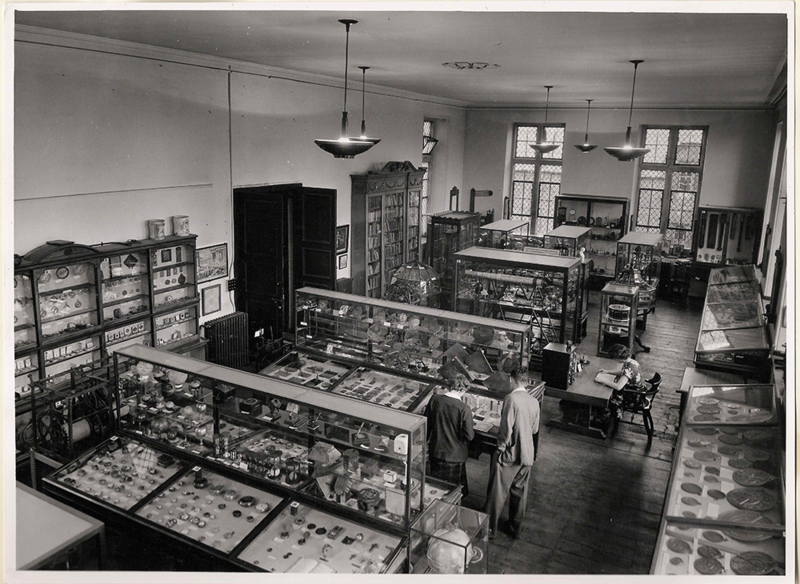 The top floor in the 1950s. The front of the Museum in 1956. At this point the stone steps to the main entrance don’t exist. In 1957 the stone steps leading from Broad Street to the main door were completed. The stone steps are remarkably fresh when compared to the rest of the building in the 1960s. 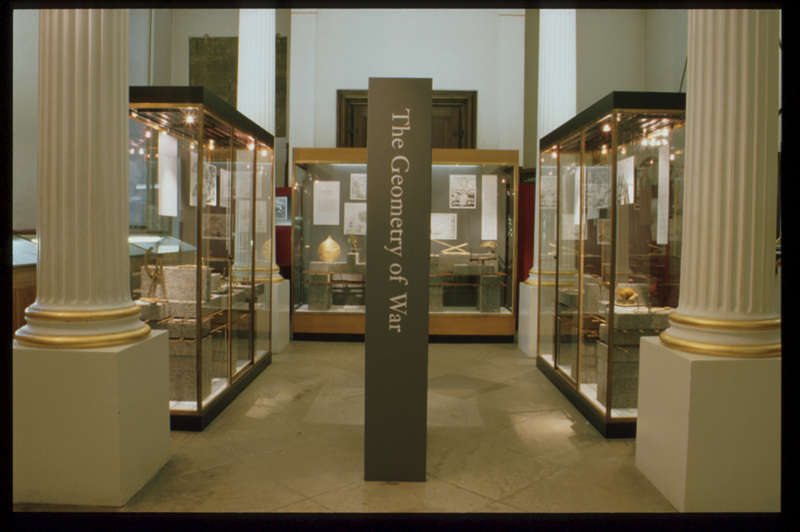 The Geometry of War exhibition opened in 1996 and explored the application of practical geometry to the ‘arts of war’. The Geometry of War aimed to be provocative. Objects were presented on concrete blocks and rusting iron mesh instead of using neutral displays. 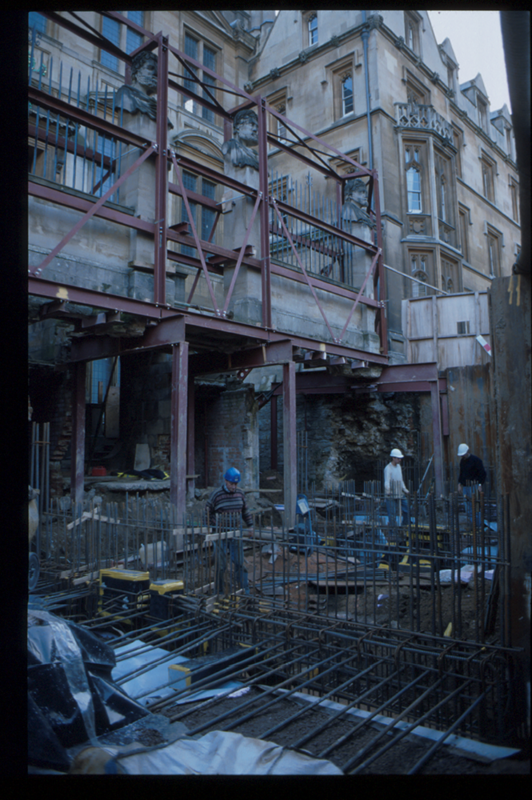 In 1998 we began a huge redevelopment project. This included improvements to galleries and building the Special Exhibitions Gallery. 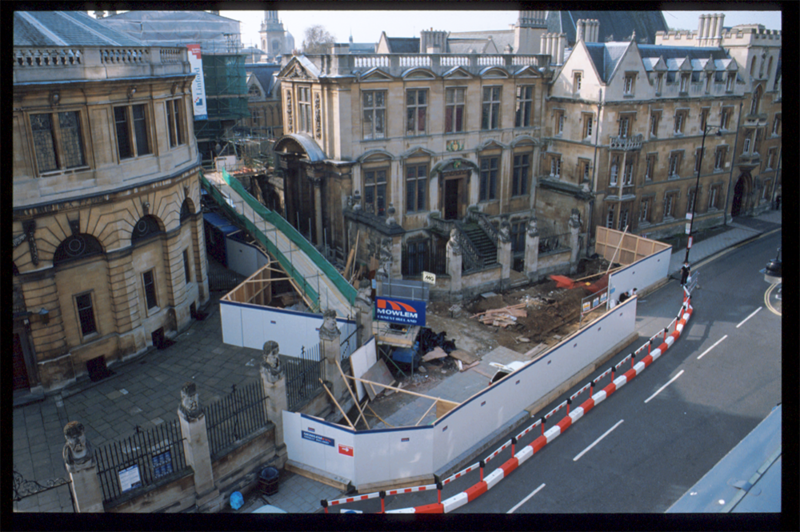 Excavations at the front of the Museum in 1999. This area has since been covered again by cobbles. Laying the foundation for new facilities under street level at the front of the building. 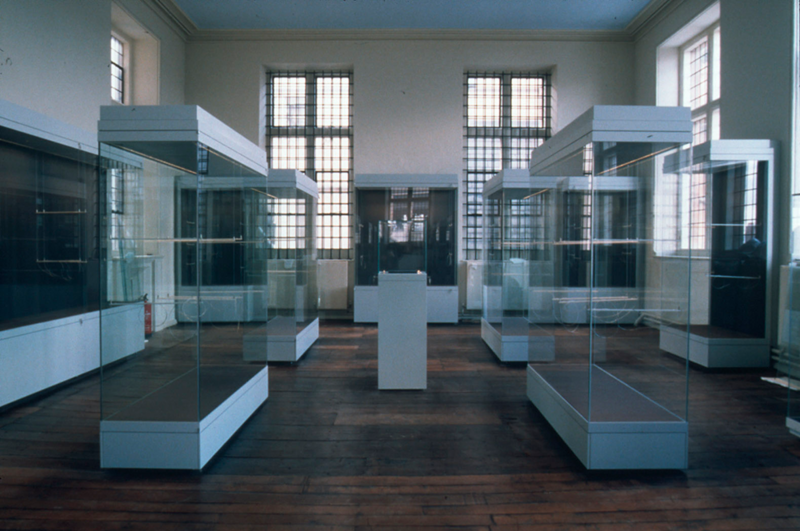 This haunting photograph shows the Top Gallery shortly before we re-opened in 2000. 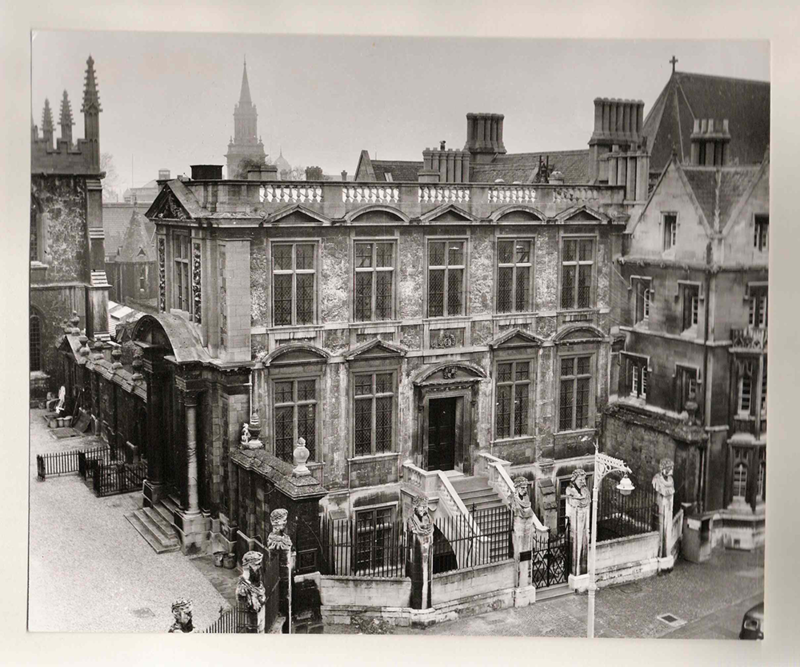 If you’ve got photographs of the Museum from the 1900s we would love to see them! You can email us at info@mhs.ox.ac.uk or share them with us on Twitter, Facebook and Instagram using @HSMOxford. The Multaka-Oxford team have had an amazing few months and the project is developing rapidly. 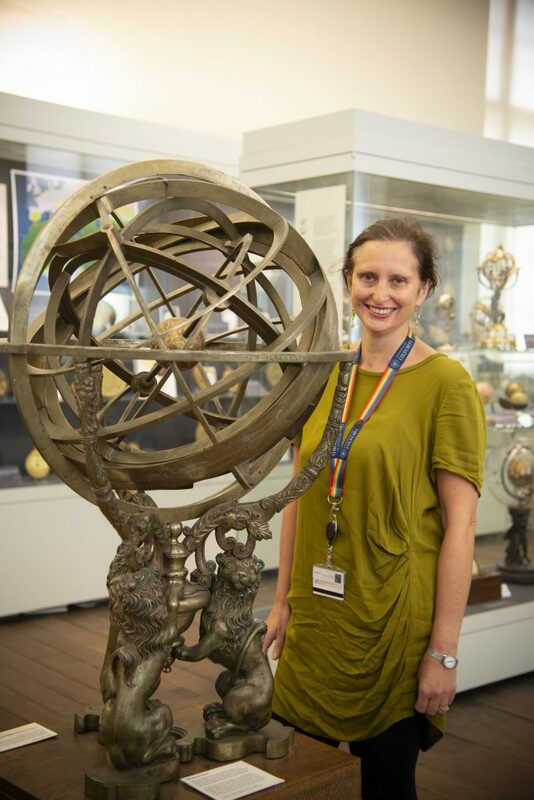 In this post they talk about their work inside and outside of the Museum, and highlight some of their favourite objects. We have had some great sessions with volunteers over the last months. 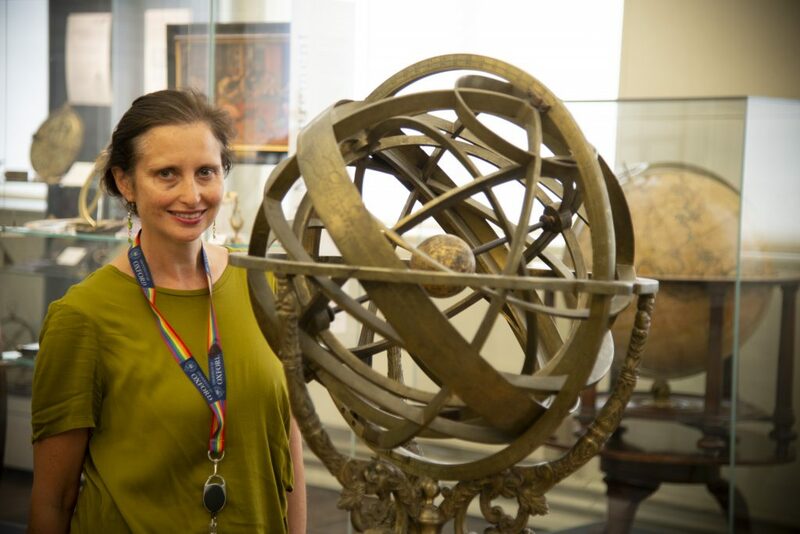 In May Silke Ackermann, the Museum’s Director, showed the team how an astrolabe worked and practised her Arabic. In June we took out some of the Museum’s objects for a handling session. The objects acted as a focus point for our discussions and we learnt a lot from each other. Abdullah, Nuha, Cheryl, Rana, Thabo, Megan and Rachel looking at objects. © Tammam Aboukerech. And Out and About with Multaka-Oxford! We have also been running activities elsewhere in the city. 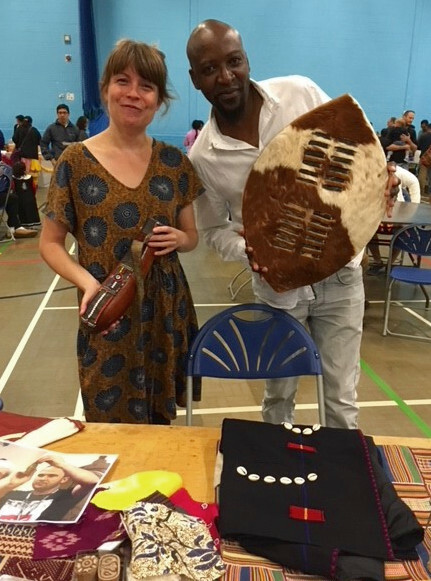 On Sunday 17 June we went to Oxford Mela 2018 in Blackbird Leys. “It was a great opportunity to participate in Oxford Mela as a project volunteer. As Multaka-Oxford represents the interchange of diverse cultural and historical experiences through museums as a meeting point, participation is especially important because it helps us see the beauty in diversity and brings about more tolerance and acceptance. Abdullah, one of our volunteers, chose the Museum’s astrolabe with a geared calendar by Muhammad b. Abi Bakr. You can keep up to date with our news and see more objects on our Tumblr page, or by following the hashtag #multakaoxford on Twitter.